Have you heard that CB2 has teamed up with husband and wife design duo Robert and Cortney Novogratz to form a collection of items that was inspired by the Novogratz's vacation home in Brazil? 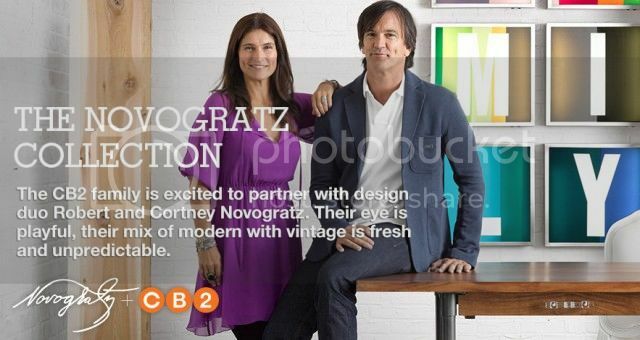 The CB2 and Novogratz Collection debuts May 2nd. The collection is full of bright and vibrant pieces with some warm wood tones mixed in. Do you want to see some of my favorite pieces? Of course you do! 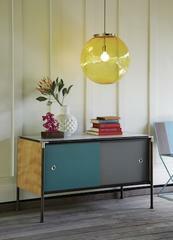 The Dupla Credenza is a perfect blend of clean lines and bright colors. And don't even get me started on that Soneca Pendant Lamp. Drooling. Want it. Need it. 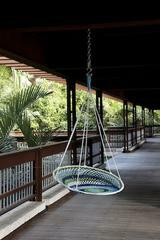 An outdoor swing is totally on my summer wish list. I have the perfect spot for it under our deck! I'm also a board game nerd who is a sucker for stylish looking board games. 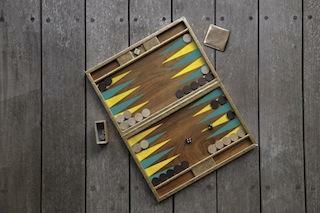 The boa sorte backgammon board makes me want to learn backgammon stat. Now the most exciting part, enter to win the CB2 and Novogratz Brasil Sweepstakes. Follow CB2 on their social media channels for updates on the sweepstakes! The only catch is that you have to take me with you if you win. I kid. I kid. Sort of. I promise to learn backgammon by then. What your favorite piece in the collection? Are you a big CB2 or Novogratz fan? What's your favorite board game?